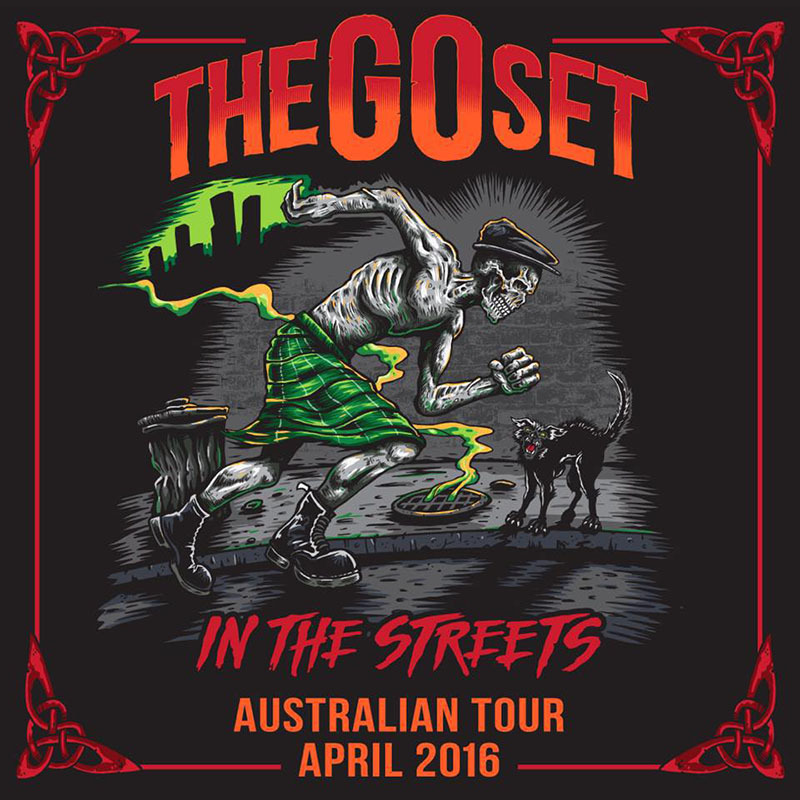 ​Aussie folk punkers The Go Set are getting ready to bring their huge one-arm-around-your-mate-and-the-other-in-the-air sing-alongs down the East Coast and to Adelaide on the In The Streets tour this April. They are also excited to announce a new video for the latest single - and the title-track for their latest album - Rolling Sound. Directed by Matt Weston (Cosmic Psychos, The Nation Blue) and filmed on Super 8 film, the Rolling Sound music video creates a sense of nostalgia as it cuts between shots of kids having ice-cream fights on the beach and skating around the Melbourne suburbs, intersected with flickering shots of a pensive older man and various city landscapes. Rolling Sound (2015) is The Go Set's sixth studio album, and while earlier records had been produced by the likes of Lindsay Gravina (Hole), Jonathon Burnside (NOFX), Rob Younger (Radio Birdman), and Paul McKercher (Something for Kate, Silverchair), this was the first time the Melbourne-based sextet decided to go at it alone, producing and recording the album entirely on their own in an old surf club on the Victorian west coast. Tickets are on sale now from The Go Set.